Vulnerable young people in Sheffield who are struggling to cope and falling by the wayside will get better help in future. Teenagers with mental health issues, those at risk of falling into crime or becoming grooming victims, pupils not in education or training, and homeless young people are the focus of a new review by Sheffield Council. 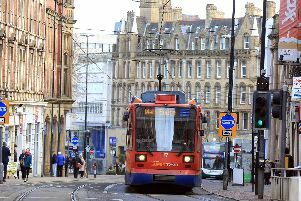 Around 50,000 young people aged 13 to 19 live in Sheffield and of these, around 3,000 per year are in contact with services including youth justice, drug and alcohol, care leavers, housing and homelessness and Not in Education, Employment or Training (NEETs). A further 1,000 young people aged eight to 12 and 20 to 25 are in contact with these same services, making a total of around 4,000 young people who are supported each year. Sam Martin, head of commissioning for vulnerable people at Sheffield Council, says in a report: “There has been a higher number of teenagers coming into the care system in the last few years, reflecting a national trend, and we know that outcomes for young people who come into care in their later teenage years are generally poor. “These are young people who face difficulties in achieving good outcomes; they are struggling at, or excluded from, school; are NEET; are homeless or in insecure housing; may be getting involved in crime or anti-social behaviour, and often have poor mental health and wellbeing. The Young People Services Review looks at what factors in a child’s early life are strong indicators of difficulties in their teenage years. The council wants to take a more preventative approach by focusing support on younger teenagers who are showing early signs of having problems, rather than intervening later when it’s reached crisis point.